You may choose a cake from one of the many different styles on my site or email me a picture of what you have in mind for your perfect cake. 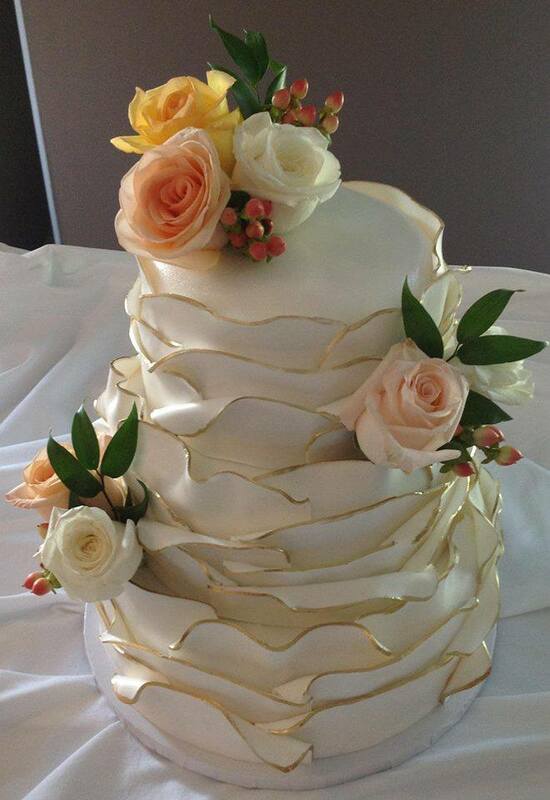 Avoid disappointment and order your beautiful cake today. I am booking now for 2018 weddings . Please email to check for availibility. ﻿ A 100.00 deposit is required when booking your wedding cake or wedding cupcakes, with the remaining balance due two weeks before the wedding date. All occasion cakes require payment one week prior .